Those are way too small Toadkart unfortunately. 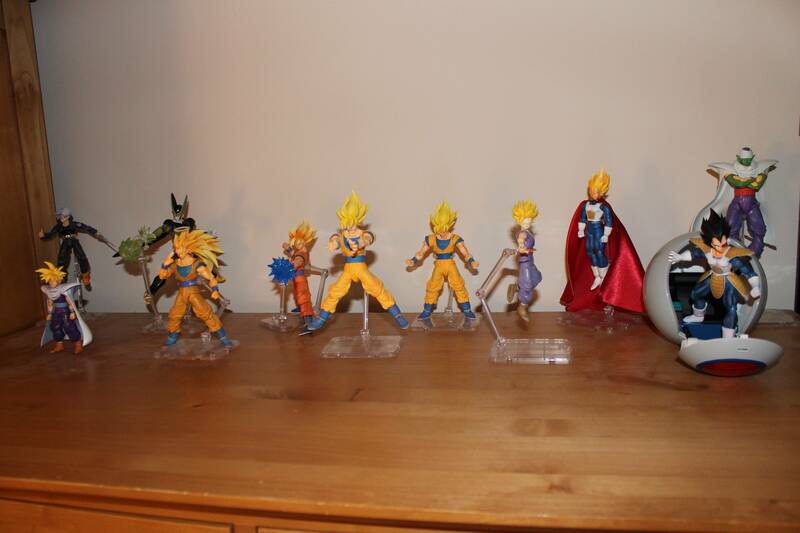 The largest Saibamen are the banpresto hollow vinyl ones, the 2nd largest is the Bandai Real Works one which is too small even for my 5 inch collection. Yeah these saibaman are really hard to find, I give up. 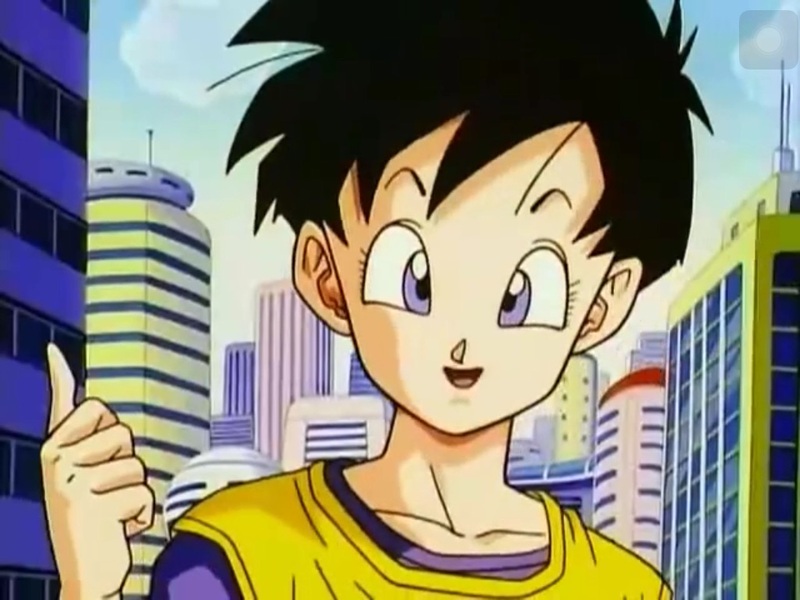 What about Trunks Time Machine? I heard both Irwin and Taki ones are compatible. Is that correct? 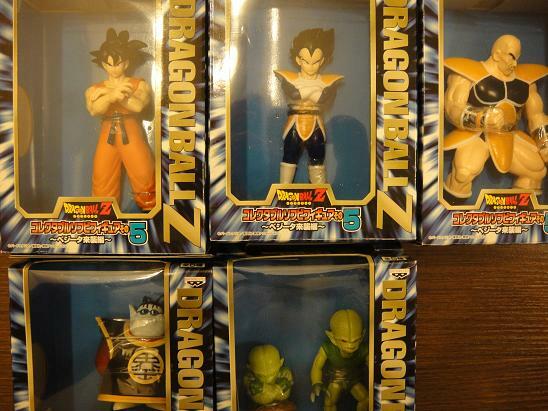 Branjita, what collection are these saiyan space pod and saibaman from? Are they compatible with SH Figuarts? This King Kai I know it is Irwin's but is he too short to stay with SH Figuarts? 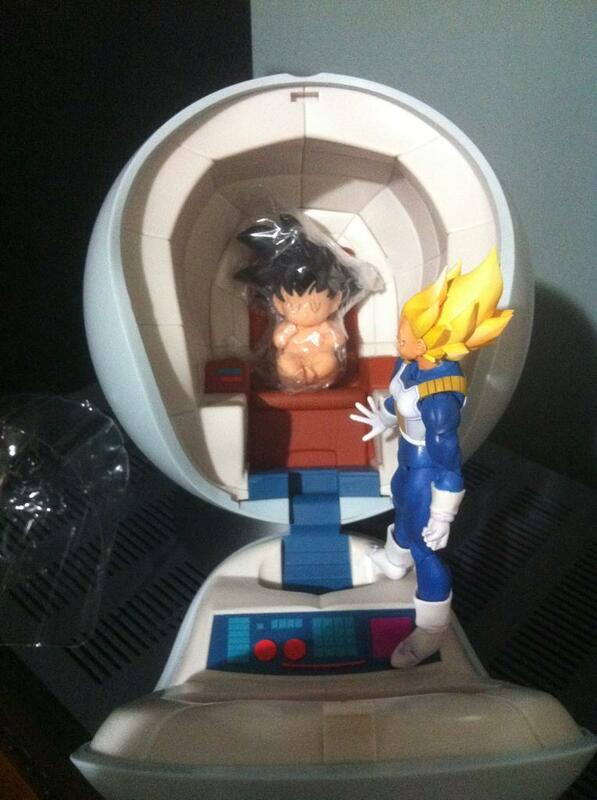 Does Vegeta SH Figuarts fits inside this saiyan space pod? my pod is irwin and they sell for an unfortunately high amount on eBay around $200 in the box. the quality is great, but I doubt figuarts Vegeta would fit inside and the door would close. 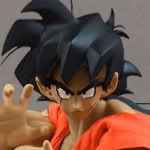 the saibaman is bandai real works and he comes with saiyan saga Gohan so you have to buy Gohan to get him. adrenaline has one for sale by himself right now though. I wouldn't recommend it though because it is too small for figuarts. the one iamreaper has is the banpresto vinyl one and it looks more appropriate. Irwin king kai would probably work for figuarts, he's the largest king kai figure ever made to my knowledge. mine is slightly customized in that I cut off his antennas and glued them on in a different position. 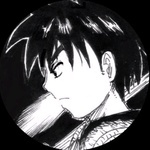 Everything Bran said is true, though the Deagostini King Kai might be a tad larger than Irwin's. havok the thing about the old japanese stuff from the early 2000s that they dont come on ebay very often and that they are somewhat rare, you need to be creative with your searching and to have a lot of patience. 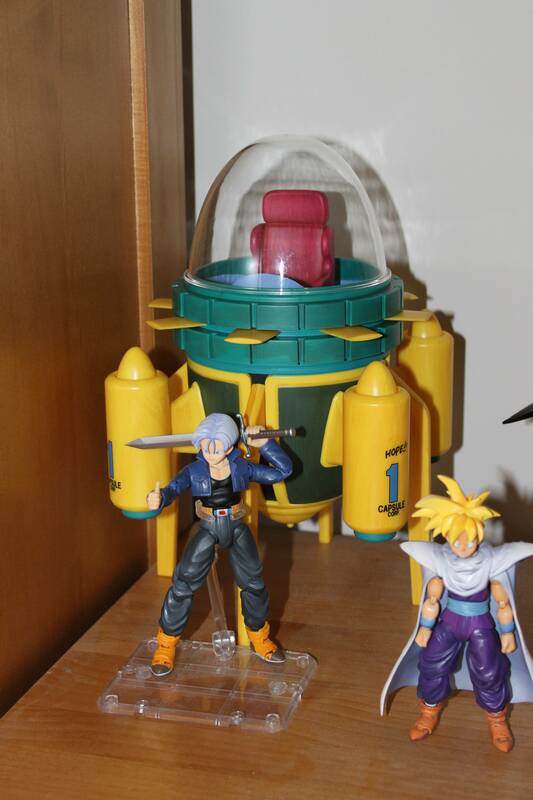 Unfortunately the kuji pod and baby goku are WAY too big for Figuarts. Shiffty was wondering if they would work awhile back so I snapped him a few pics. Wasn't the Irwin/jakks one better to scale? Yeah Baromba.... I think you're right that the kuji pod is going to look good with nappa , but I just don't see it with Vegeta. 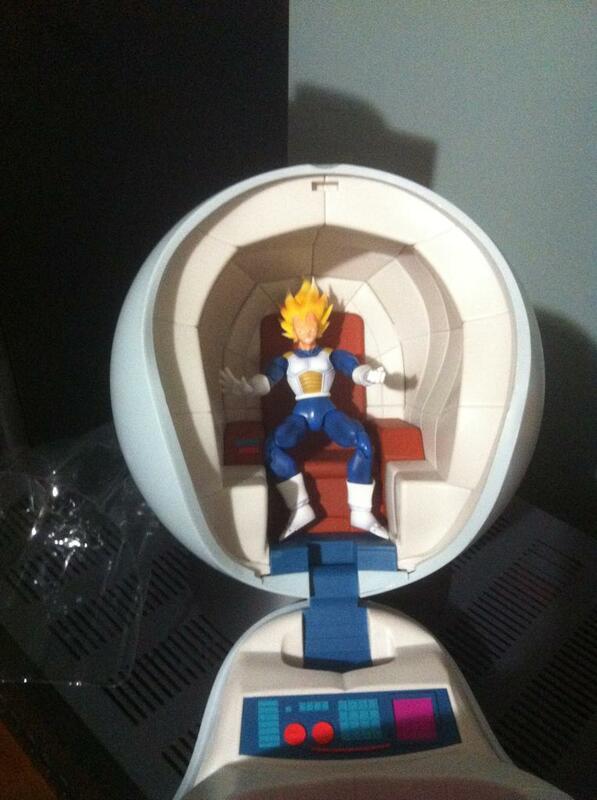 The saiyans are very tight in their pods.... Vegeta kind of looks like a toddler sitting in his dads chair. His feet can't even touch the floor when seated. 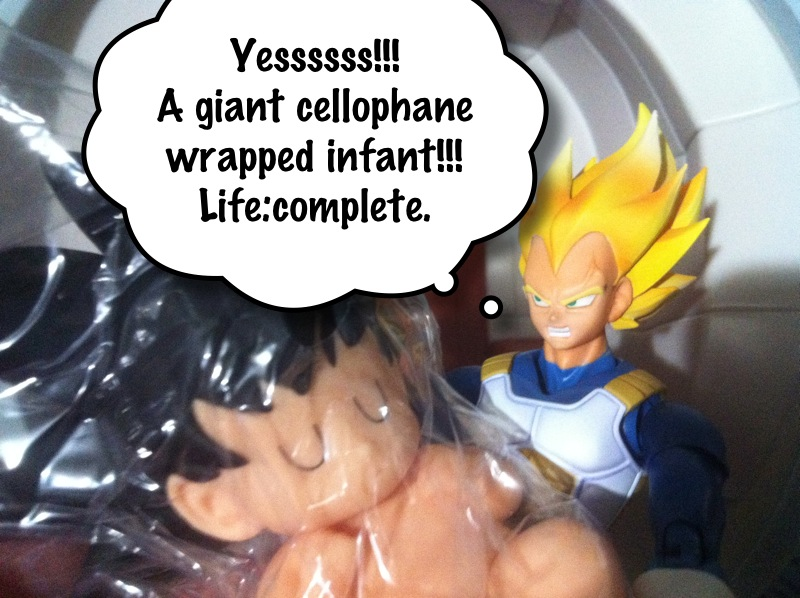 It's funny that Nappa and Vegeta arrived in the same size pods given their size differences. I would think that two of those ^^ pods would be best just because it's remotely possible, that if they make Nappa, he will actually fit in one and you can have matching pods in your display. Irwin space pod is also expensive as hell. 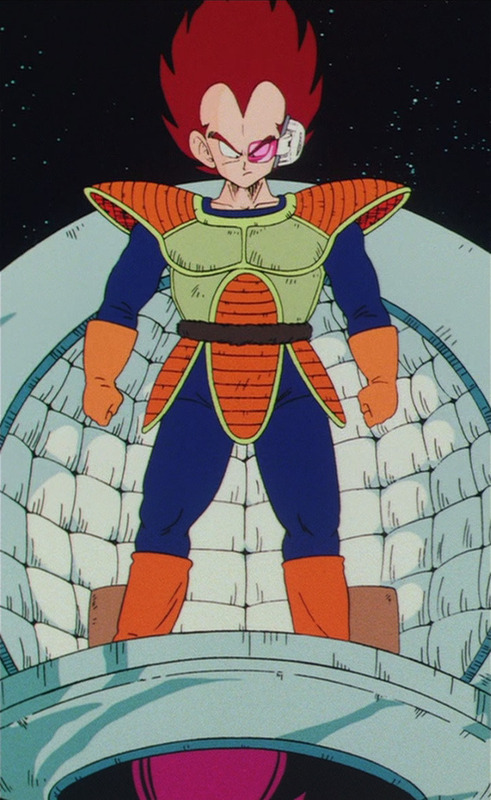 Well look at the bright side, if they ever release nappa he'll probably fit in there! 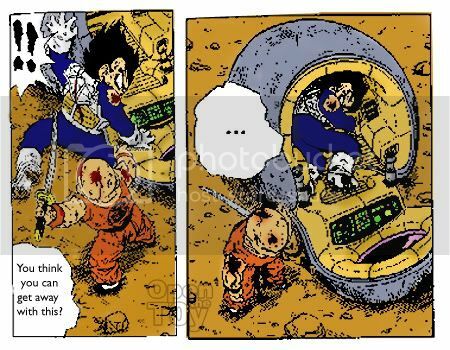 Another way to look at it is, is anyone going to really display Vegeta and Nappa sitting inside the pod? I've seen some peeps display him standing outside it to show off his poses, so if you restrict yourself from displaying him inside where you can't see his nifty features, then any of the pods could work. Well, as the one I ordered is the only one that he fits into, I'll take advantage of that and have some fun taking pictures. Depending on the angle it might look cool lol, and let's hope we can have Nappa joining the line soon. I was going to get a set of those but as far as scale I have seen them up close and I think they will be too big even for namekian size.